Downbound at Mission Pt., Nov. 2, 2010. 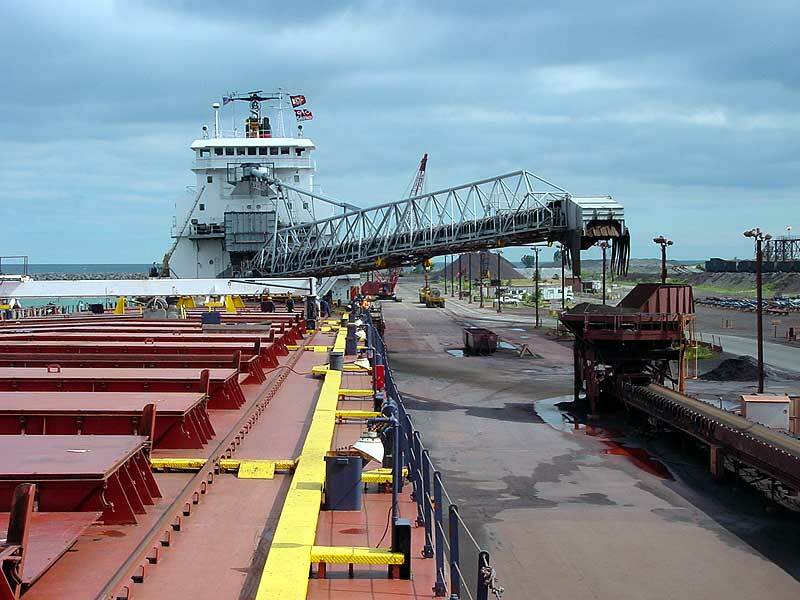 This Great Lakes self unloading bulk carrier was constructed as a joint effort between two ship yards. The 610’ stern section was built as hull #224 at Collingwood Shipyards, Collingwood, ON. The keel was laid for this section on April 29, 1982 and launched in a formal ceremony on October 21, 1982. On board for the launching was the vessel’s namesake Mr. John Black Aird, Lieutenant Governor of the province of Ontario at that time; Mr. William Davis, the Premier of Ontario at that time; and other dignitaries. Mr. Aird was born May 5, 1923 at Toronto, ON; trained as a lawyer being appointed to the Queen’s Counsel on January 1, 1960 and was a former Chairman of the Board of Algoma Central Railway. 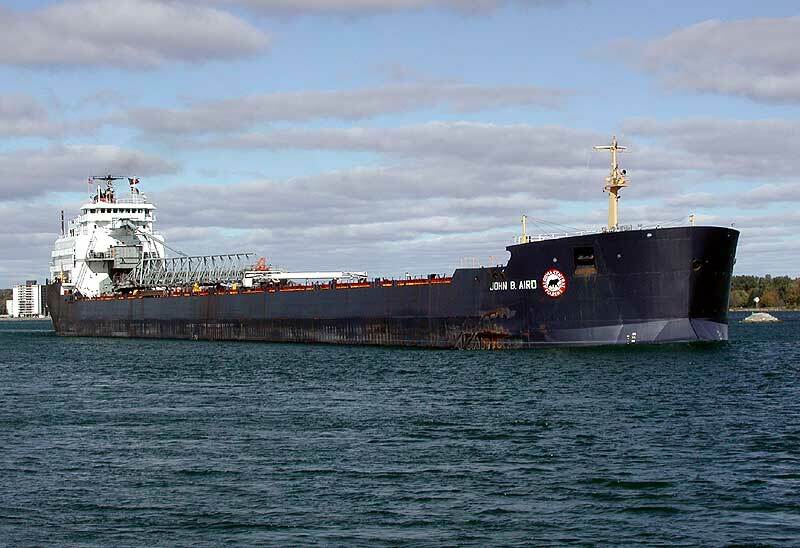 The stern section cleared Collingwood under tow of tugs Wilfred M. Cohen and John McLean on April 15, 1983 bound for Port Arthur Shipyards, Thunder Bay, ON to be mated up with her 120’ bow section. 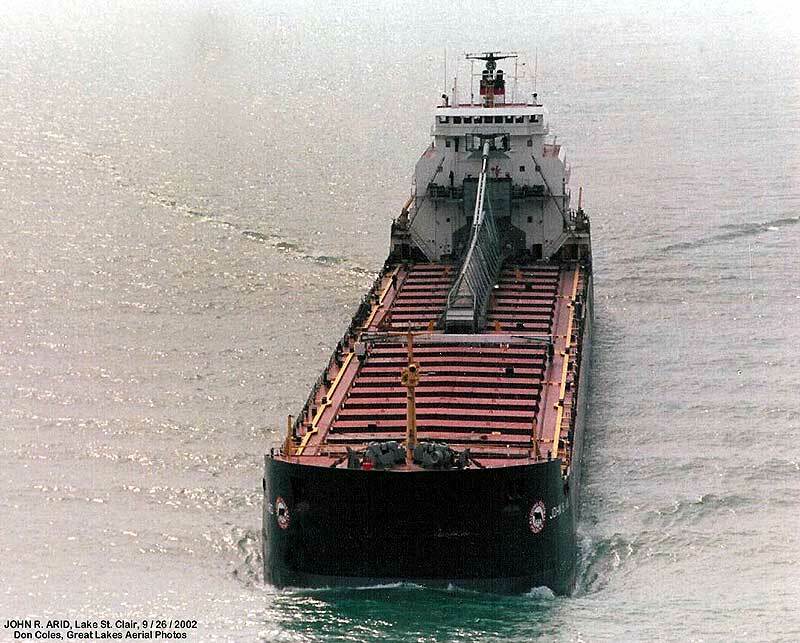 The new vessel was christened John B. Aird in a quiet ceremony on June 3, 1983 at Thunder Bay for Algoma Central Railway, Marine Division, Sault Ste. Marie, ON. The christening followed the electrocution of 2 shipyard workers June 1, 1983 who were in the process of cleaning up the vessel for its christening. The John B. Aird is powered by 2 MaK model 6M552AK 4 stroke cycle, single acting 4,730 b.h.p. 6 cylinder diesel engines burning intermediate grade 180 fuel. The engines were built by Krupp MaK Maschinenbau, G.m.b.H., Kiel, West Germany; the power being fed to a single 4 blade KaMeWa controllable pitch propeller giving the vessel a rated service speed of 13.8 m.p.h. She is equipped with a 1,000 h.p. KaMeWa bow thruster and a semi bulbous bow for working in ice. 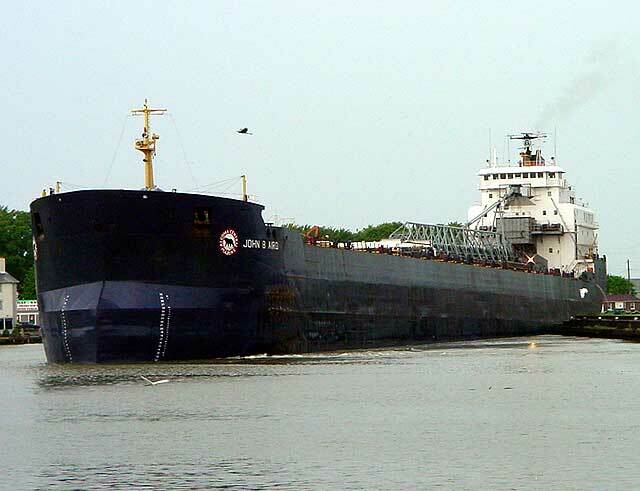 The John B. Aird has 23 hatches feeding 5 holds where she is capable of carrying 31,000 tons at mid summer draft of 29’ 00” and 27,050 tons at Seaway draft of 26’ 03”. 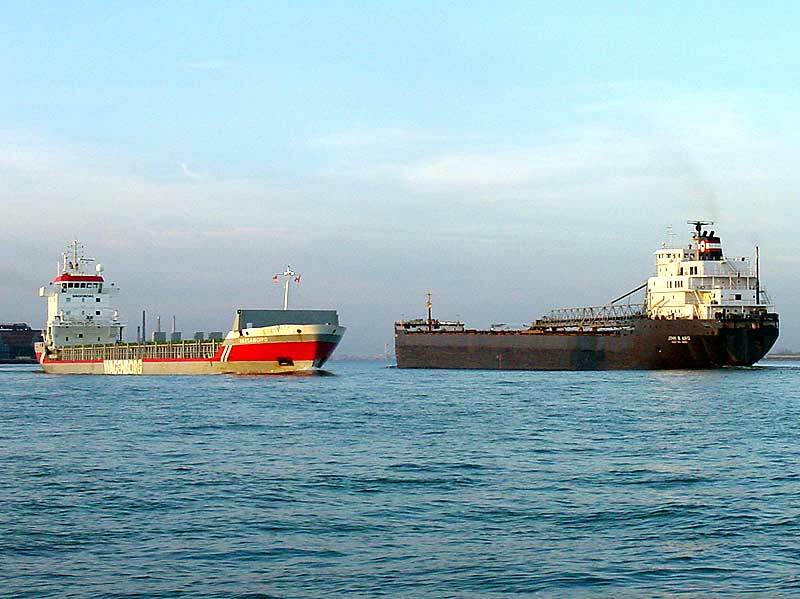 Other capacities include 533.43 tons of fuel oil, 128.93 tons of diesel oil, 106.29 tons of potable water, and 16,845.4 tons of water ballast. 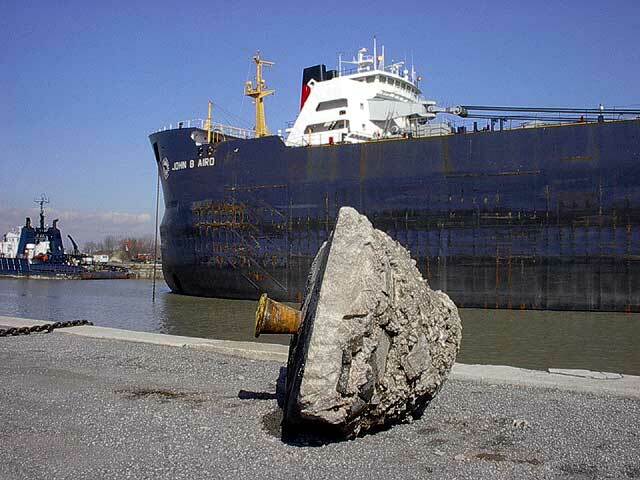 The vessel displaces 8,365 tons lightship. 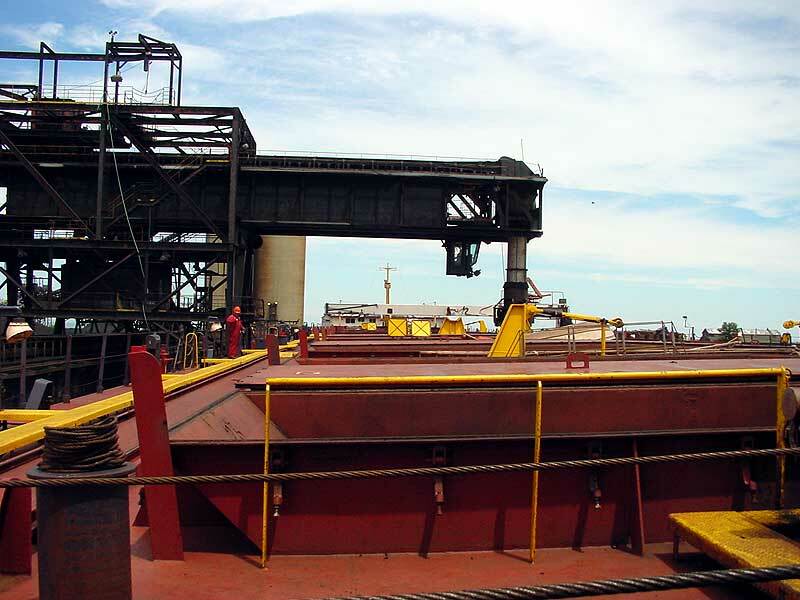 The vessel’s self unloading equipment consists of a 3-belt gravity system with bulk flow gates, plastic linings, and vibrators throughout. These belts feed a stern mounted loop belt elevator leading to a 261’ unloading boom that can be swung 90 degrees to port or starboard. 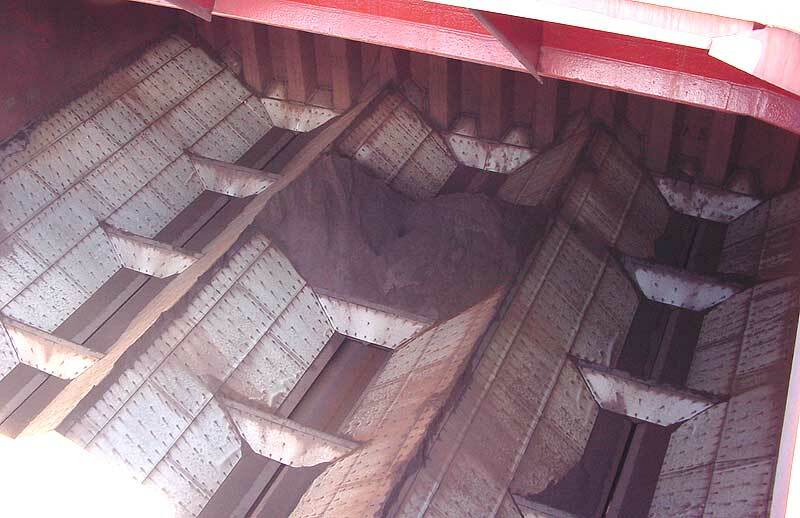 The system can unload at a rate of up to 5,354 tons per hour. 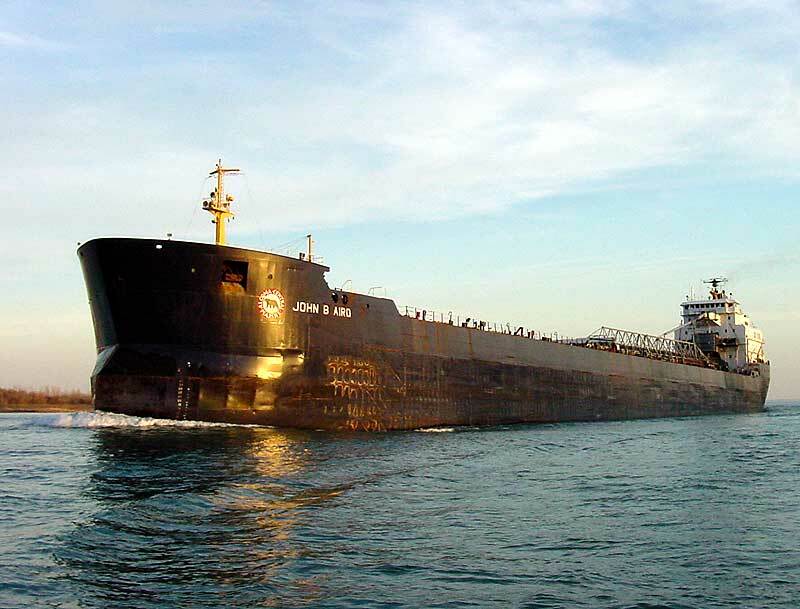 The John B. Aird cleared Thunder Bay on her maiden voyage June 13, 1983 loaded with 31,954 tons of coal for Nanticoke, ON. 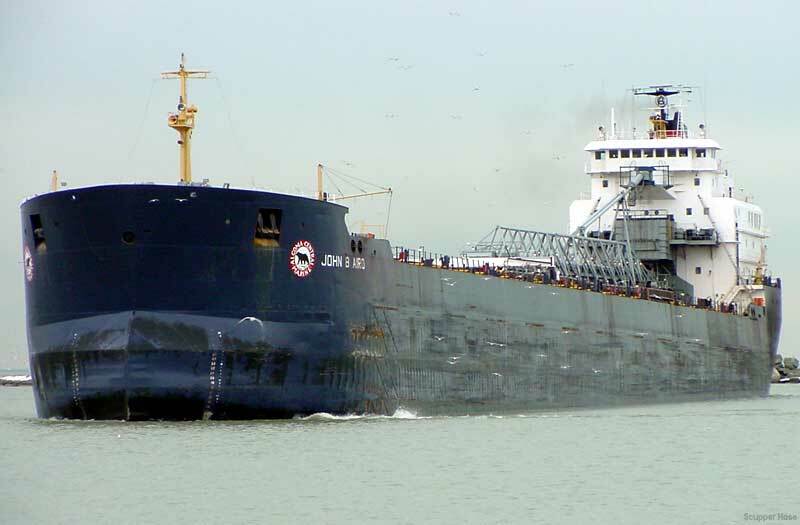 She is noted to have both opened and closed Thunder Bay’s navigation season in 1985 on April 2nd and December 31st respectively. 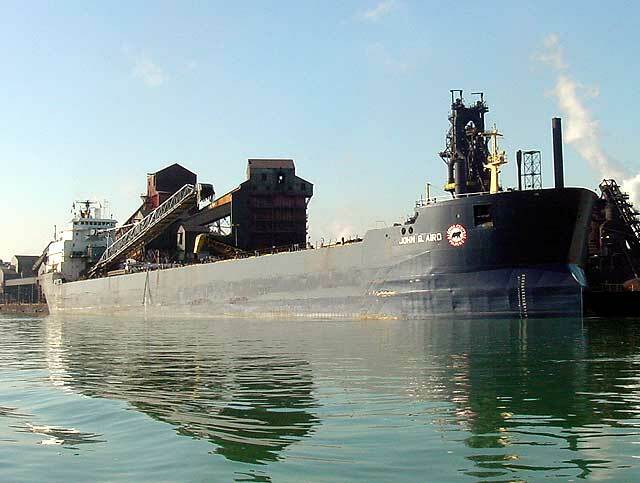 On October 16, 1990; the vessel was the victim of a fire in the loop belt elevator system while loading mill scale at East Chicago. The fire caused over $500,000 damage burning 1,400’ of conveyor belt and was fought by 30 firefighters. 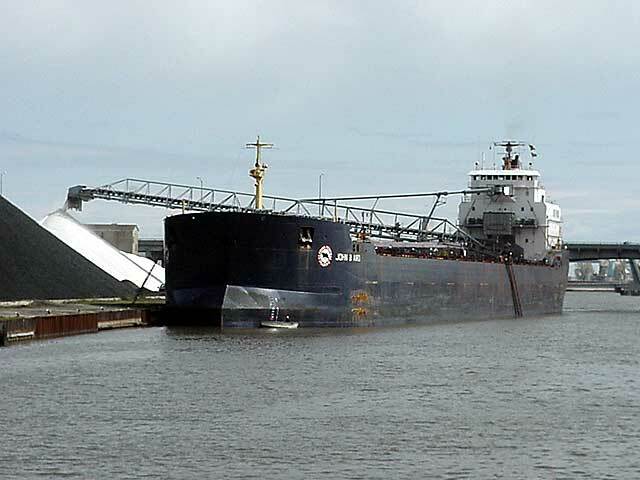 It was fueled by coal dust; the vessel having just unloaded coal at that location. 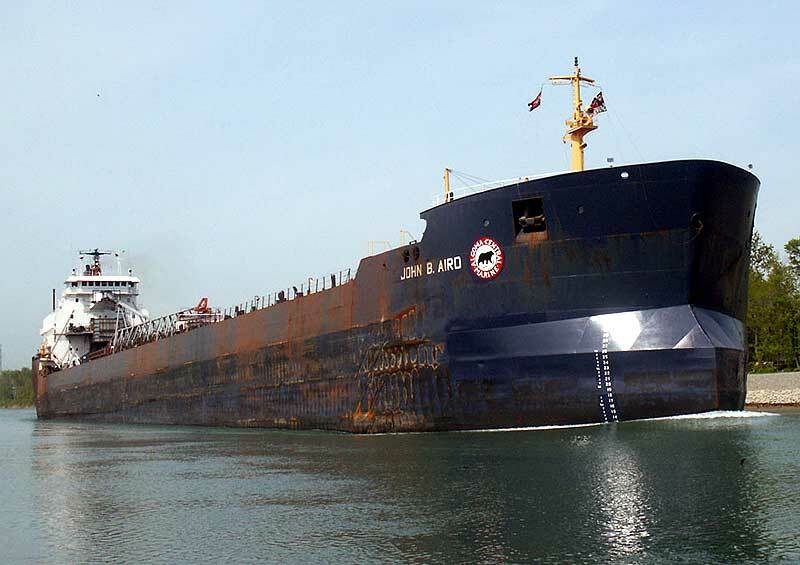 Repairs were made at Sarnia, ON with the vessel returning to service November 15, 1990. 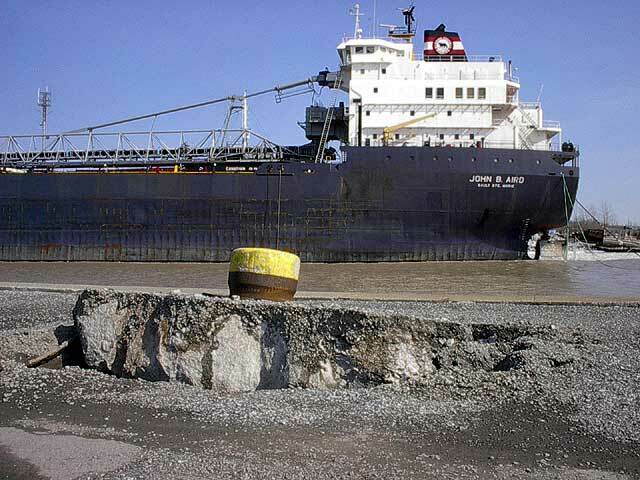 During a storm in high winds late on March 9, 2002; the John B. Aird was broken free from her moorings pulling the bollards out the ground while the vessel was in winter lay up at Wharf 18.1 (the fuel dock), Port Colborne, ON. The winds blew the vessel across the channel coming to rest broadside against the moored Canadian Olympic; also in winter lay up. 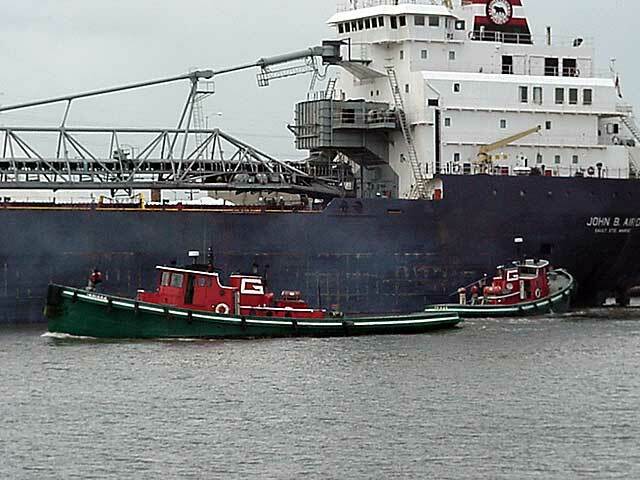 There were no injuries, nor was there any serious damage done to either vessel. 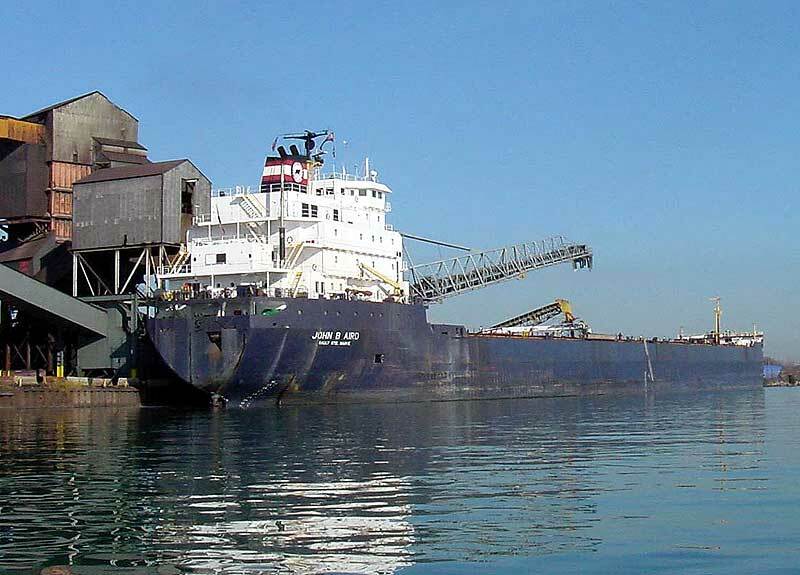 From 1993 until January of 2000, the John B. Aird sailed under the management of Seaway Self Unloaders, St. Catharines, Ont. 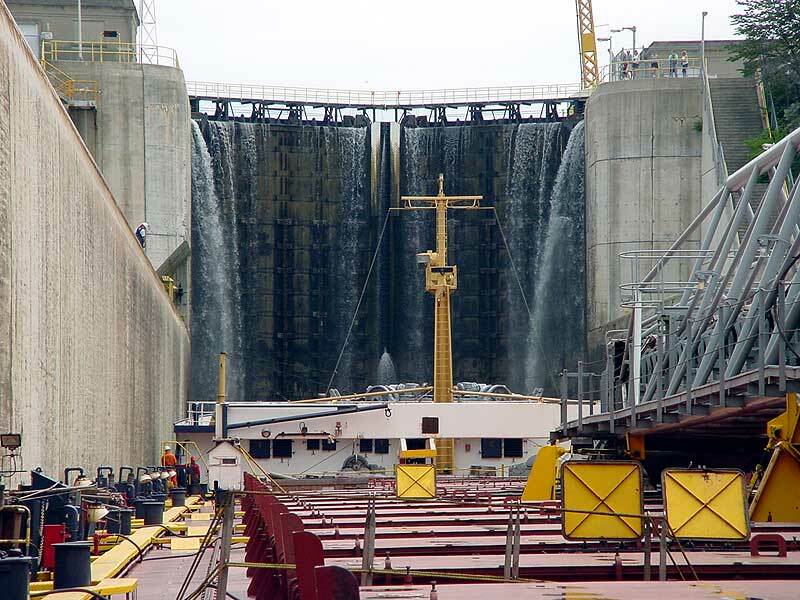 (partnership of Algoma Central and Upper Lakes Group). 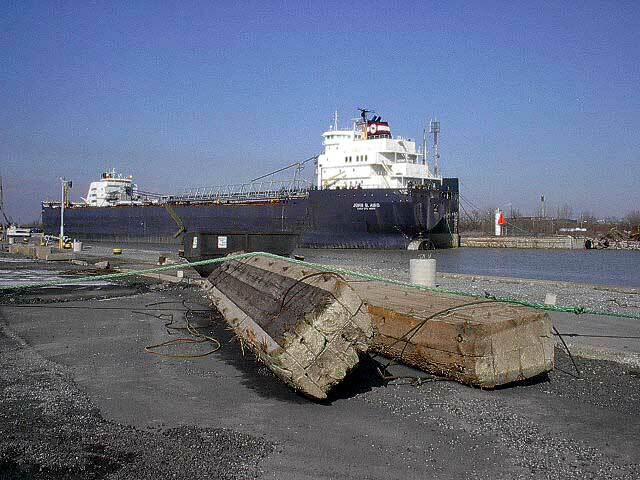 The vessel later sailed under the management of Seaway Marine Transport, St. Catharines, Ont. 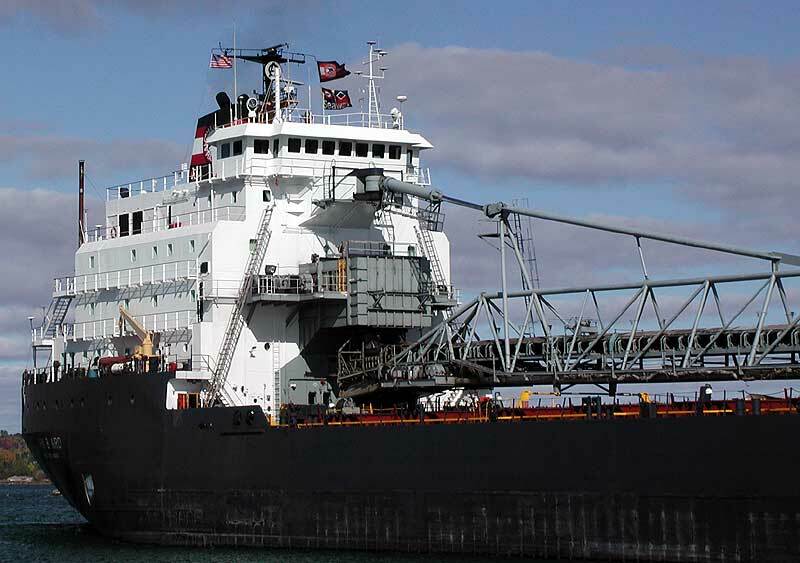 (a partnership of Algoma Central and Upper Lakes Group). 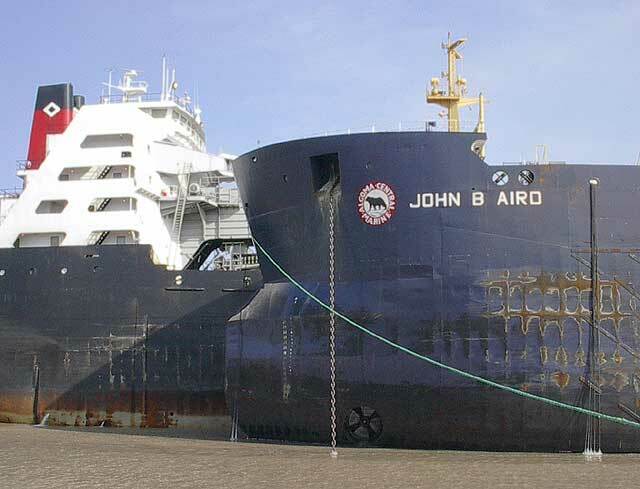 John B. Aird's cargos included coal, iron ore and taconite pellets, salt, sand, potash, gravel, and mill scale. 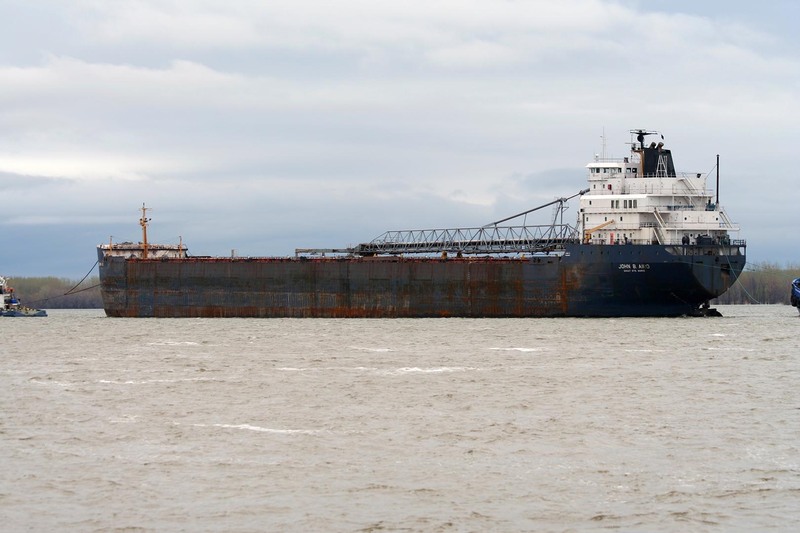 After unloading salt at Ogdensburg and Prescott, John B. Aird docked in Montreal April 5, 2017 at Section 37. 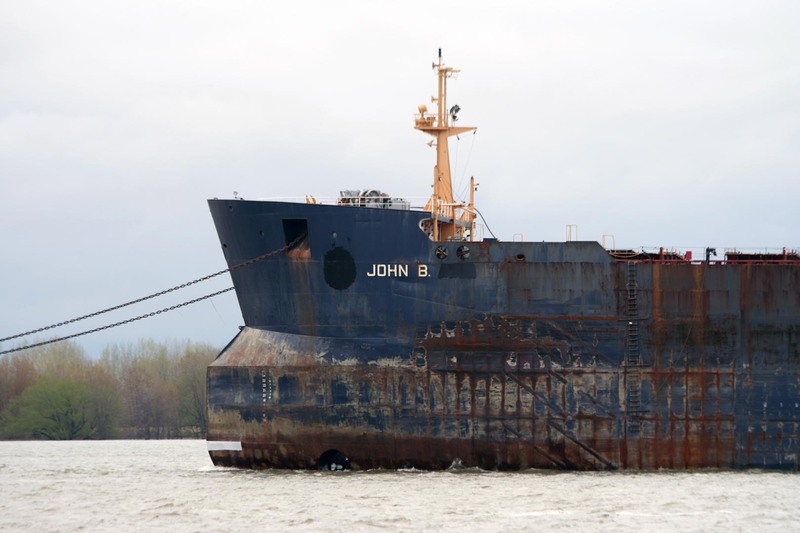 Shortly thereafter, her name was shortened to John B. in preparation for a scrap tow. 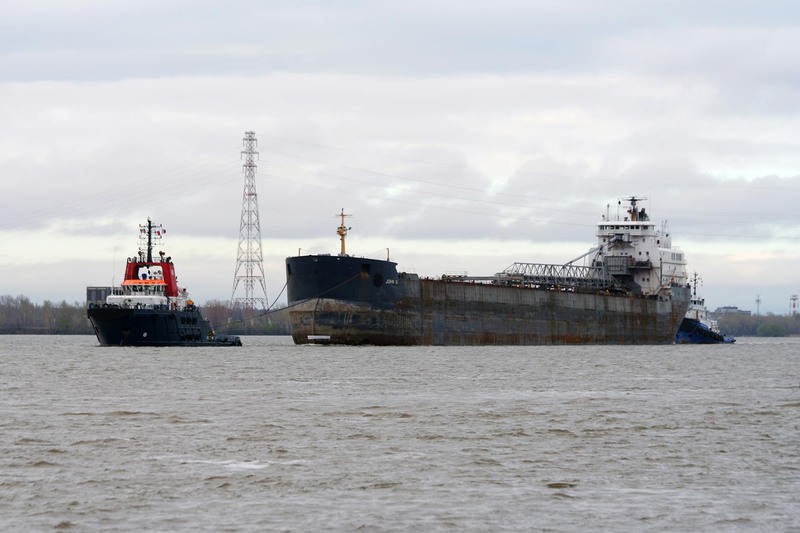 On May 11, 2017, the deep-sea tug VB Hispania towed her out of Montreal bound for the scrapyards of Aliaga, Turkey. 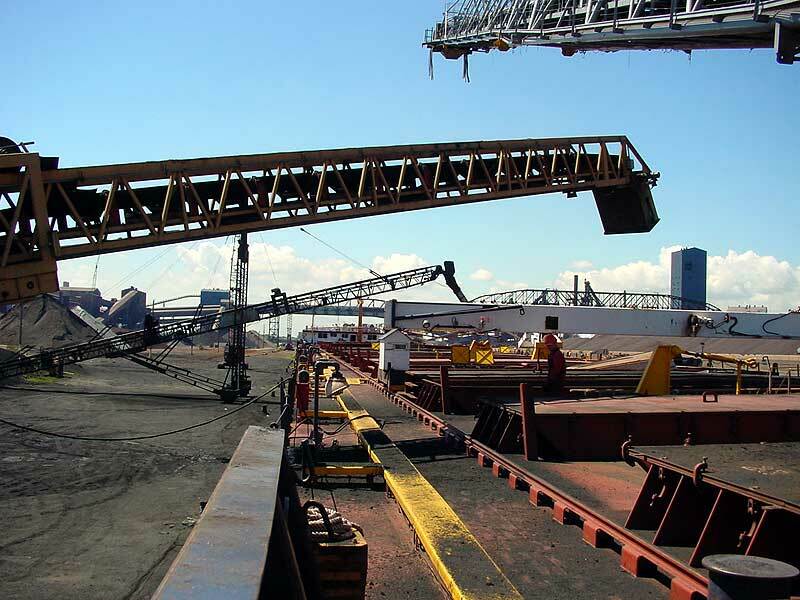 Unloading at Zug Island, Nov. 17, 2001. 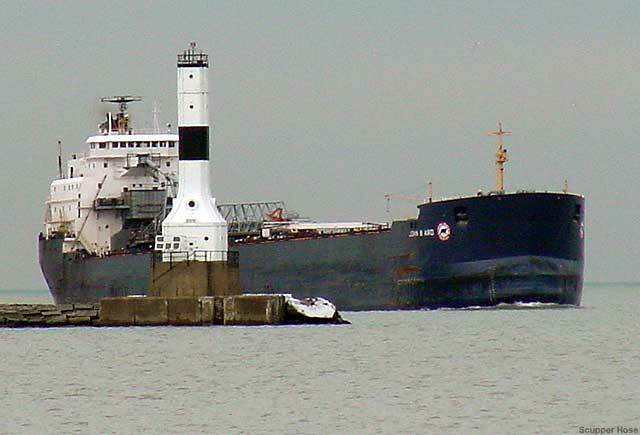 Passing the Conneaut Light, Jan. 15, 2002. After wind storm in Port Colborne. March 11, 2002. Bollards pulled from the ground. Detroit River, April 11, 2002. 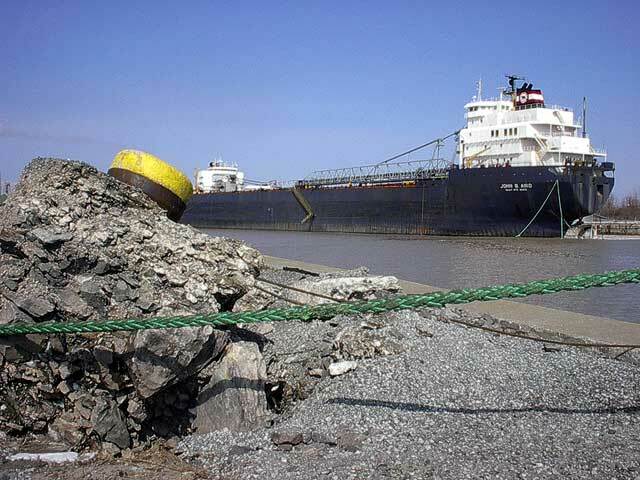 Assisted by tugs, May 19, 2002. 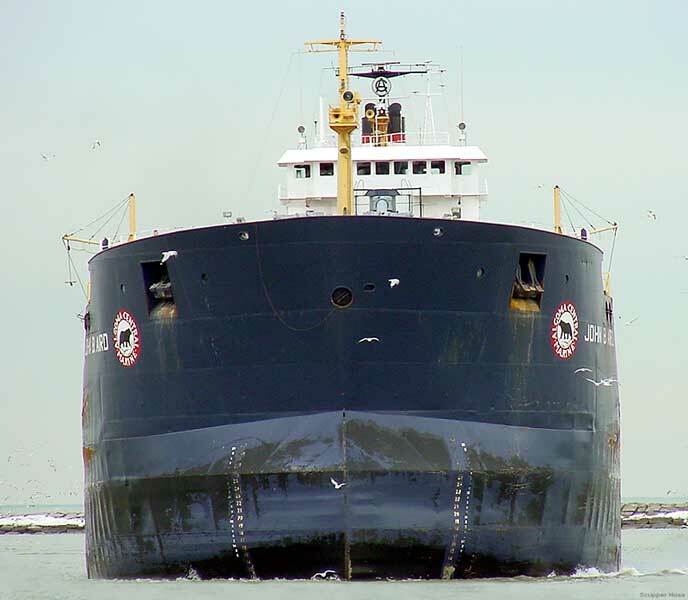 Backing to dock, June 5, 2002. Loading in Windsor, Sept. 21, 2002. Aerial view, Sept. 27, 2002. Mission Point, Oct. 16, 2002. 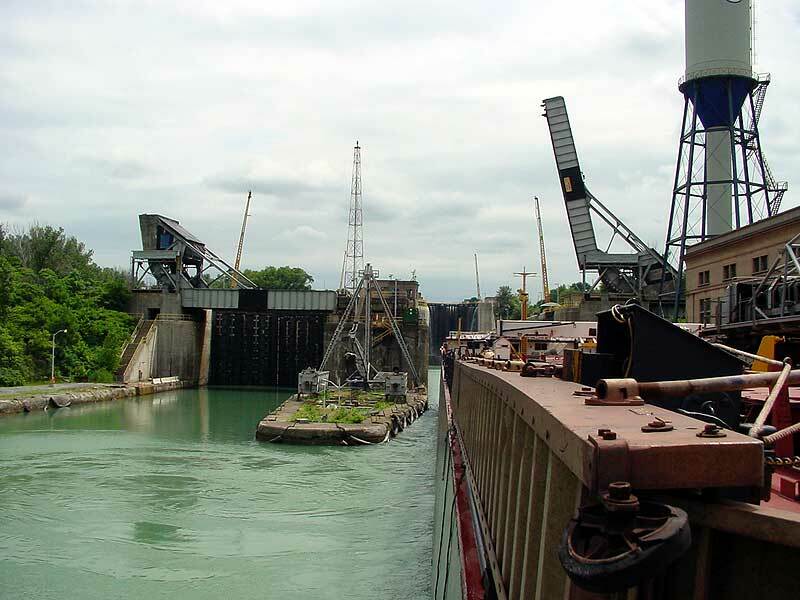 Entering Lock 4 on the Welland Canal, 2003. Getting the mail from the J. W. Westcott. Looking into the cargo hold. View of the docks in Gary. Winter lay up in Welland, Feb. 25, 2008. 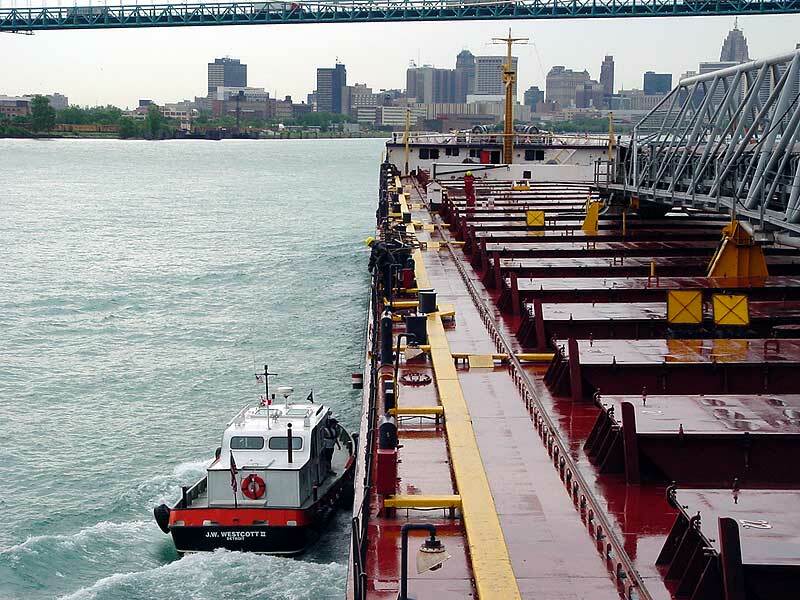 Tugs lining the Aird up for the Port Weller Drydock, Dec. 30, 2010. 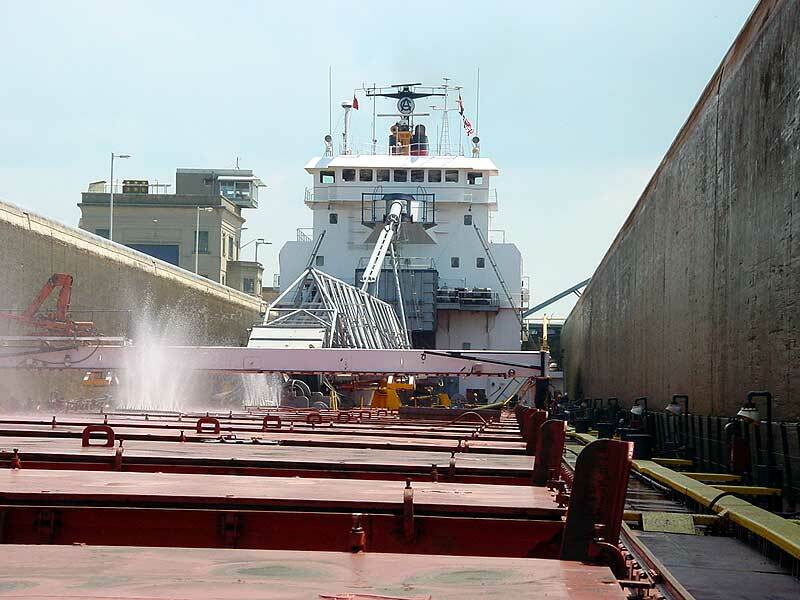 Loading ore in Marquette, Aug. 30, 2011. 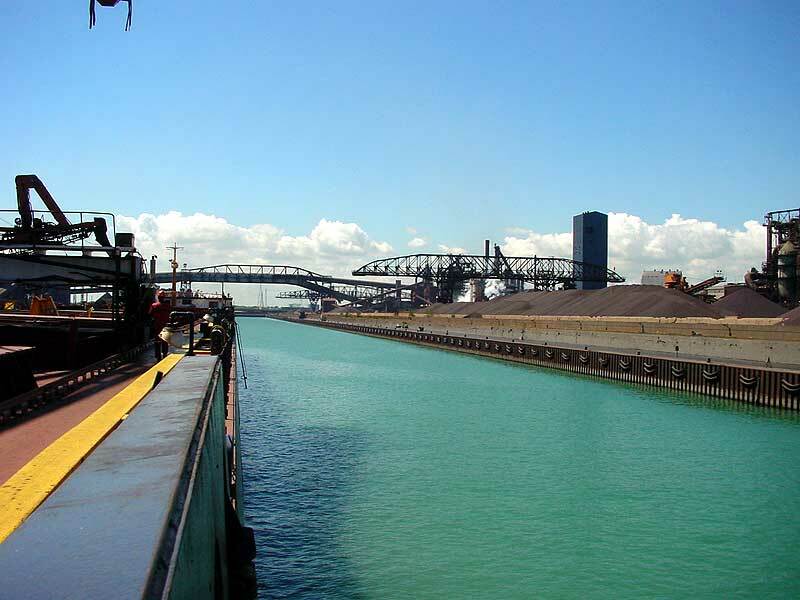 Loading petroleum coke at Beemsterboer's on the Calumet River, Oct. 5, 2011. 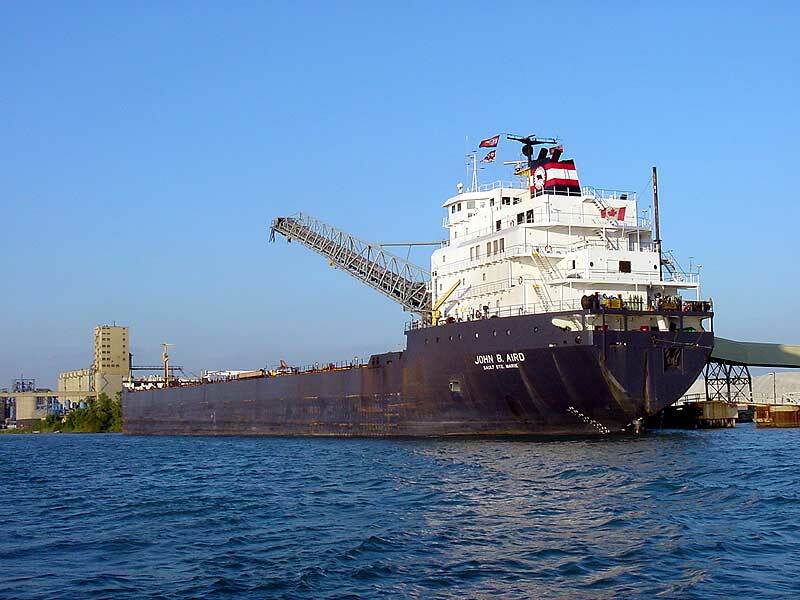 Upbound in the Detroit River, Aug. 2, 2014. Unloading miscellaneous equipment in Port Colborne during her last trip, April 2, 2017. 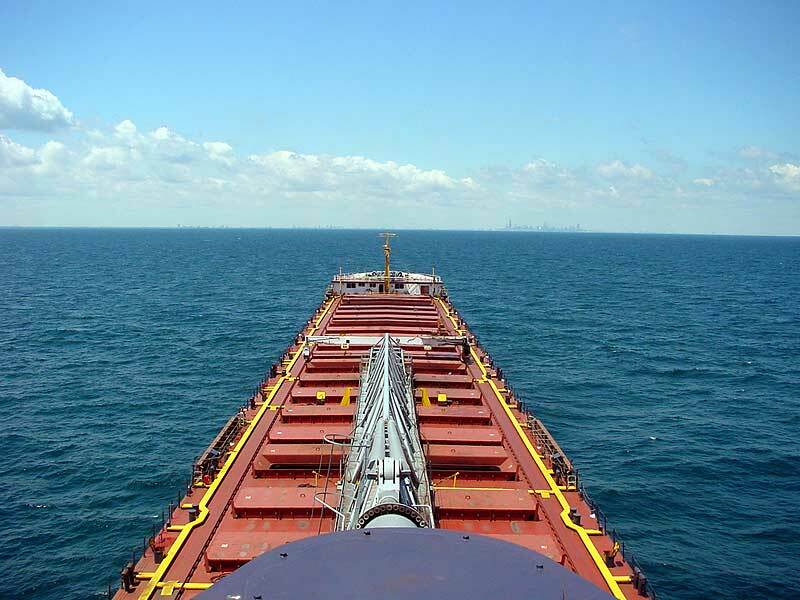 Departing Port Colborne for the last time. Departing Montreal under tow of the VB Hispania bound for Turkey, May 11, 2017. Ocean Charlie on the stern.